Written by Matthew D. Johnson. The article was initially published on the webpage of the China Policy Institute. It has become obvious to many that China is undergoing a reverse course away from cultural openness and toward ideological closure. Universities, the Internet, social media, religion, and NGOs have all been made targets of a Xi Jinping-directed effort to exert greater political control over institutions with the potential to shape social values within the People’s Republic of China (PRC). The impact of this process, which I have written about elsewhere as a process of cultural securitization has also been felt within the world of independent documentary cinema. As a result, unofficial production of knowledge about contemporary social realities has become increasingly depoliticized or, perhaps less visibly, embedded within networks of political patronage. The Xi-ist state has not squeezed unofficial image-making out of existence. Rather, it has eliminated weaker forms while simultaneously giving rise to the existence of a more limited, institutionalized pluralism existing within the body of the party-state itself. 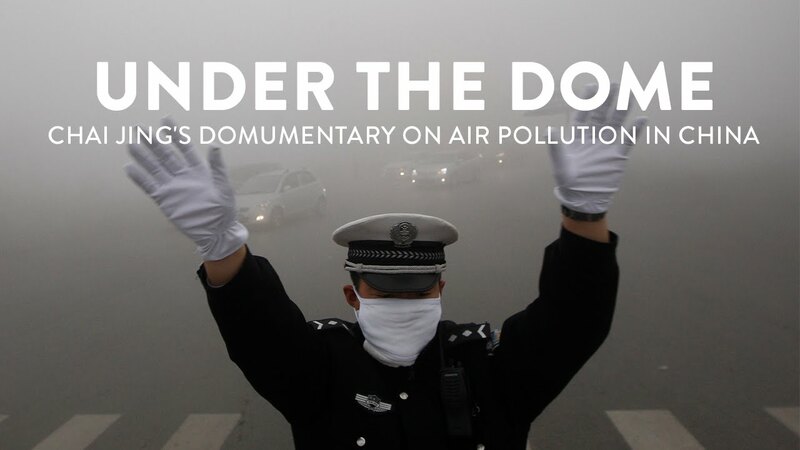 The documentary was publicly praised by the PRC’s new minister of environmental protection Chen Jining, and in the online edition of People’s Daily. Bloggers also responded enthusiastically to Under the Dome, in part for its role in sparking an online national discussion concerning GDP-first economic policies. (Also raised were details concerning Chai’s personal life, such as her alleged smoking, as well as challenges to the data used and recommendations presented.) However, on March 1 PRC government authorities were already instructing media outlets to refrain from promoting the film, and to regulate or “adjust” (调控) public opinion surrounding it. On the eve of the annual meeting of the “two sessions” (The National People’s Congress and Chinese People’s Political Consultative Congress) on March 3, 2015 orders to remove all coverage of the film and its creator, and any related content, from PRC websites and mobile services began to appear at the lower levels of the propaganda system and on Weibo. On March 6 the order for full deletion of the video appeared, at which point "Under the Dome" was removed from the websites of major internet video portals Youku and Tencent, as well as from the People’s Daily webpage where it had originally debuted online. Whether or not "Under the Dome" was ultimately an elite-backed project remains a topic of some debate. What is clearer is that Chai Jing’s glossy documentary is only one of several independently made, environmentally focused productions in the tradition of 1980s problem-centered reportage literature (以问题为中心的报告文学) released in past years, another being Wang Jiuliang’s 2011 "Beijing Encircled by Trash" (Laji Weicheng). Wang’s documentary, in production since 2008, presents a stark portrayal of the PRC’s ever-expanding landfills and scavenger economy from the perspective of garbage dumps beyond Beijing’s Seventh Ring Road. It is safe to say that Wang is not a beloved figure in the eyes of the city’s municipal authorities. 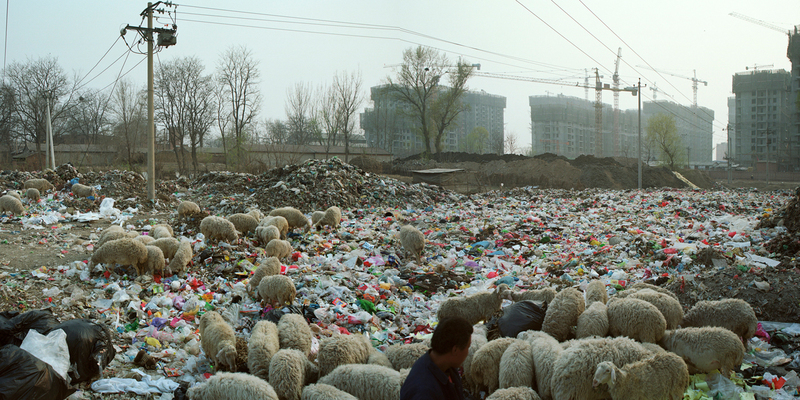 Still, he continues to distribute his film internationally (New York City-based dGenerate Films currently lists Wang’s work on their website), and has traveled internationally to discuss and promote his work; within the PRC, Wang’s landfill photojournalism has earned the director an award at the Guangdong government-sponsored Lianzhuo International Photography Festival and an interview with China Daily. For media professionals like Chai and Wang, independent-mindedness and exposure of national problems has not resulted in censorship or worse—to the contrary, both Chai and Wang have thrived as flashpoints for popular outrage concerning environmental degradation and, what is more, seem to have the tacit support of officials at various ranks of China’s government. Like the environment, history has become a controversial subject under Xi Jinping’s government. Scholarly debates over China’s 1950s and 1960s famines and the expansionist ambitions of the Qing dynasty have become acrimoniously politicized. Those who view history through a critical lens are accused of espousing Westernization and “historical nihilism” (历史虚无主义); those arguing for a more uplifting view argue that history must serve the greater national good by functioning as patriotic education. One of the most literally visible ways in which history and historical debate are spilling over into independent media is through the activity of independent filmmakers like Hu Jie and Wu Wenguang, both of whom have made oral histories of the Mao years a focal point in their respective bodies of work. However, state responses to the resulting documentation of personal testimony concerning famine and political turbulence have varied. In explaining these divergent outcomes, the key differences appear to be whether the directors themselves have shown themselves willing to cooperate with party-state agendas, or to elicit tacit support and sympathy from within the government. In Hu’s case, the fact that his films have attracted interest primarily among overseas viewers means that his focus on past CCP abuses of intellectuals seems to create embarrassment and frustration for the state. The work of Hu’s which has most aroused official ire is "In Search of Lin Zhao’s Soul" (Xuzhao Lin Zhao de Linghun), a film about a young student executed in 1958 for her unspoken ideas. News of the 2005 film spread in China, particularly among the dissident community, resulting in attempts to visit her grave on the anniversary of her death. The timing of the anniversary, on April 29, increased sensitivities due to its relative proximity to the anniversaries of Hu Yaobang’s death and the June 4 Massacre. By contrast, most unofficial historians do not work in audiovisual media, and their work is by legal necessity circulated only among small circles of like-minded amateur historians. (Actual circulation of e-journals such as Remembrance [Jiyi] and Yesterday [Zuotian] is likely wider than state limits allow, but such recirculation activity occurs “underground,” and is difficult for both authorities and observers to track.) Hu is a former state media agency employee who has worked for the Xinhua news network. Nonetheless, working outside of any circles of official influence, he has faced intimidating surveillance (wire taps, visits from security personnel) and travel restrictions for his forays into particularly sensitive areas such as China’s Anti-Rightist campaigns and Cultural Revolution. By way of contrast, independent documentary filmmaker Wu Wenguang has also been working on a history of the Leap and famine from a bottom-up perspective, though with considerably less official interference. The difference in outcomes appears to lie in each director’s personal networks. Wu’s "Folk Memory Project"(Minjian Jiyi Jihua) tells the story of the Great Leap Forward through a series of interviews with villagers conducted by more than 100 young interviewers; the project has run continuously since 2010. Yet unlike Hu Jie, and despite his reputation in international film circles as a rebel and anti-state critic, Wu’s film oeuvre prior to the Folk Memory project has never delved into taboo or heavy politicized subjects, focusing instead on the experiences of marginal individuals drawn from contemporary PRC society. In addition, Wu’s earlier production of another multi-contributor documentary endeavor, the "China Village Documentary Project" was initially carried out in part through cooperation with the PRC Ministry of Civil Affairs and the European Commission, which together supported the filmmaking in its early stages as part of the EU-China Training Programme on Village Governance. In comparison with Hu Jie, Wu Wenguang’s work is located more within the boundaries of state-permitted discourse, and Wu’s career shows evidence of tacit cooperation with state agendas in order to further his activities as a producer of independent media. Matthew D. Johnson is Executive Dean of the Faculty of Arts and Social Sciences, Taylor’s University, Malaysia. He is a co-founder, director, and editor of The PRC History Group (http://prchistory.org/) and The PRC History Review (http://prchistory.org/prc-history-review/). He has followed independent cinema and music in China since trading for his first 零点乐队 tape in 1997. His previous writing for CPI: Analysis has covered historical and contemporary state propaganda and the future direction of China’s post-Xi reforms. Image Credit: CC by arianta/Flickr.